Contemporary Home Plans – Sleek, Sophisticated, Yours. 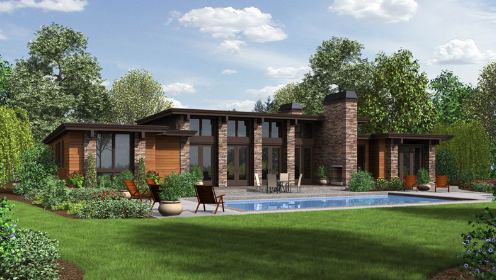 Explore the clean lines and breathtaking architecture of popular contemporary home plans from Direct From the Designers. These stylish designs create the “wow” factor that only a contemporary house plan can bring. Open-concept layouts, sleek lines, abundant windows – these floor plans have it all! We have all of the features you crave, and so many yet to explore. It’s easy to take a bold step, because finding your dream contemporary home plan is only a click away! Find hundreds of modern & contemporary home plans, all builder and customer approved, from Direct From the Designers! 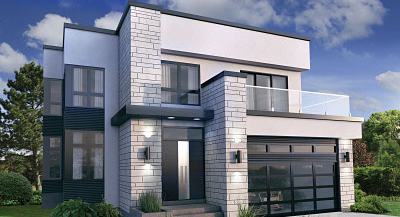 Bring the “wow” factor to your new neighborhood with this incredible contemporary home plan. Do you have a large and active family? This is the home plan for you! The second story boasts an incredibly spacious master suite, complete with large soaker tub. Also upstairs, you’ll find four family bedrooms and an additional full bathroom with double vanity. Keep the kids and their toys contained with the spacious bonus area, often used as a playroom. The main level is kept organized with cubbies and shelving in the family foyer. Cooking for a large family can be a challenge, but this intelligently designed kitchen is up for the task with over-sized appliances and an ample walk-in pantry. Perfect for those escaping the hustle and bustle, this home is a great, efficiently designed getaway! Beautiful folding, multi-panel patio doors bring the outdoors into this contemporary home. Open and bright, you can take in the view from the entire open-concept living room and eat-in kitchen. The clean lines of the home’s exterior continue inside, with a Euro-style glass enclosure tub/shower combo. You’ve traveled to enjoy the season, so take advantage of it! Explore the large deck area with enough space for both an outdoor eating and relaxation area. After a beautiful day outside, retire to the master bedroom, large enough for a king size bed. Live in luxury with this open-concept contemporary home plan – a truly unique must-see! Dinner prep is a breeze in this chef’s kitchen, complete with a butler’s pantry and generous island space. Nearby, the mudroom and spacious laundry room keep things tidy and organized. Large windows throughout this uniquely designed main living space create an air of elegance and sophistication. Use two upstairs rooms as guest space, a man cave or media area – your options are endless! End your day in the master suite while you sip your favorite wine in the large soaker tub, or near the large windows that beg for a reading nook. Designed for entertaining, guests enter this home to find breathtaking 13-foot ceilings and a completely open-concept main living space. Family and friends will love to gather in the spacious living room where a fireplace feature crackles. Then, four sets of French doors lead the party outside where an outdoor fireplace creates ambiance. Ample closet space and a generous laundry area help to keep things entertainment-ready at all times! Relax at the end of a long day in the master bedroom’s private spa tub or on its private patio. A Jack-and-Jill bedroom/bathroom set are perfect for the kids in the family, while a flex media/office space adds versatility. This popular two-bedroom tiny home packs a punch in just 629 square feet! 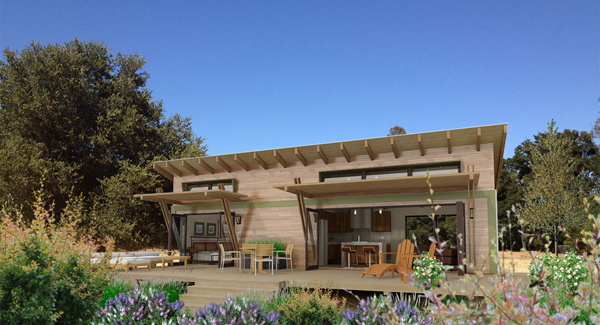 You can build and enjoy this compact new home without breaking the bank. Our customers love the intelligent features this contemporary home provides, like the laundry closet and tub/shower combo that maximize square footage. But don’t worry, we didn’t skimp on the must-haves! Much sought after features like open-concept living from front to back and 9-foot ceilings are provided – often difficult to find in tiny homes. Clean Craftsman accents create beautiful curb appeal – fitting for country or urban living. 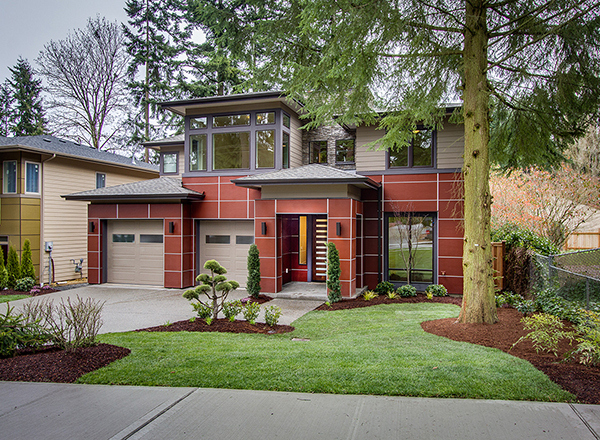 This mid-sized contemporary home has incredible curb appeal. A private deck space atop the two-stall garage lets you take in the view! Just inside a set of elegant double doors, the formal foyer leads you into the downstairs living room. Enjoy Saturday morning breakfast as a family in the open-concept kitchen and dining space. An office space is also found on the main floor – perfect for a day of at-home work. Travel upstairs to find three bedrooms and a second living room! The master boasts a private en-suite with double vanity and that incredible deck space we know you’ll love! Looking for affordability in all shapes and sizes? 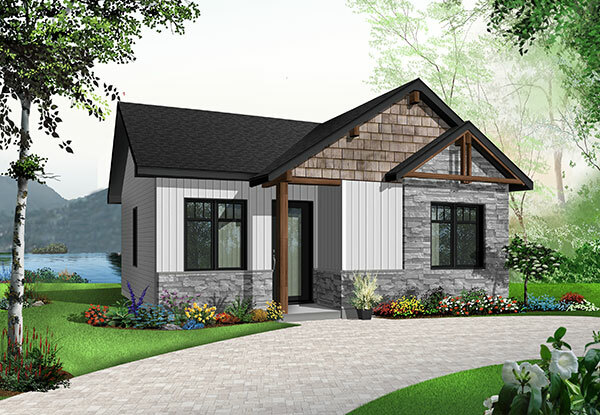 Check out our collection of Affordable House Plans! 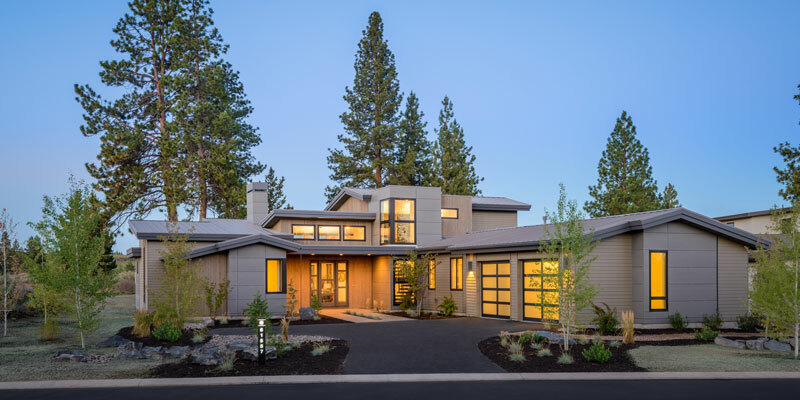 Bookmark this article Contemporary Home Plans – Sleek, Sophisticated, Yours. Affordable Dream House Plans – Perfect for Building on a Narrow Lot!